Exciting Times Here at St. Pat’s! 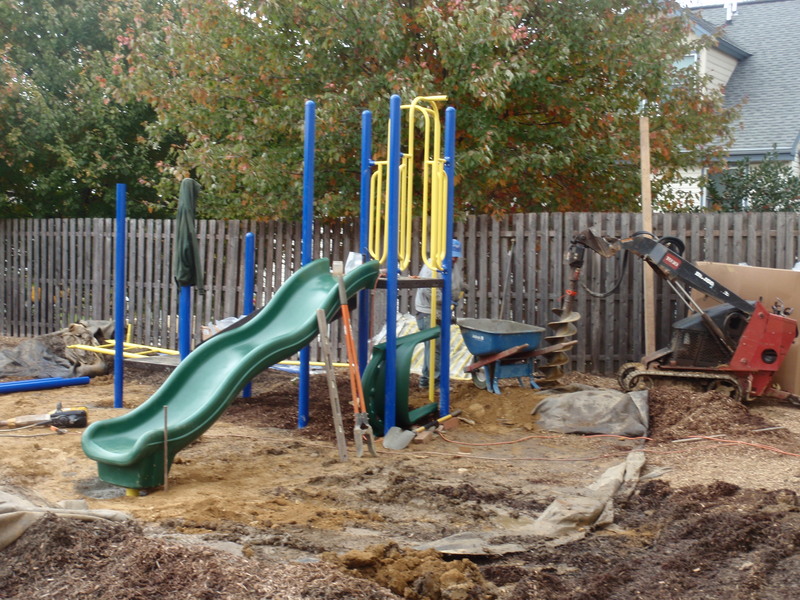 We are all so excited about the construction of the playground and the basketball nets – we can hardly stand it! 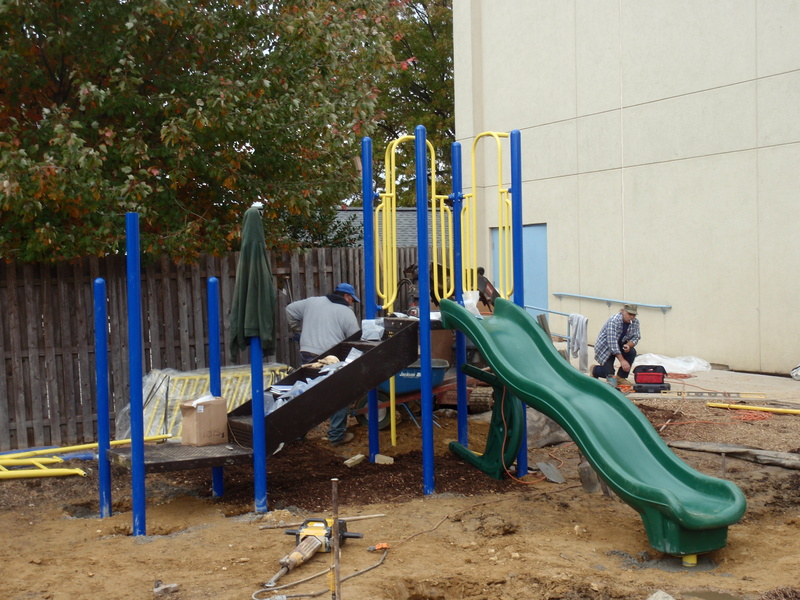 By next week we should be able to be shooting, climbing and sliding during recess. Check back soon for pictures of St. Pat’s students having a great time with all of our new toys! 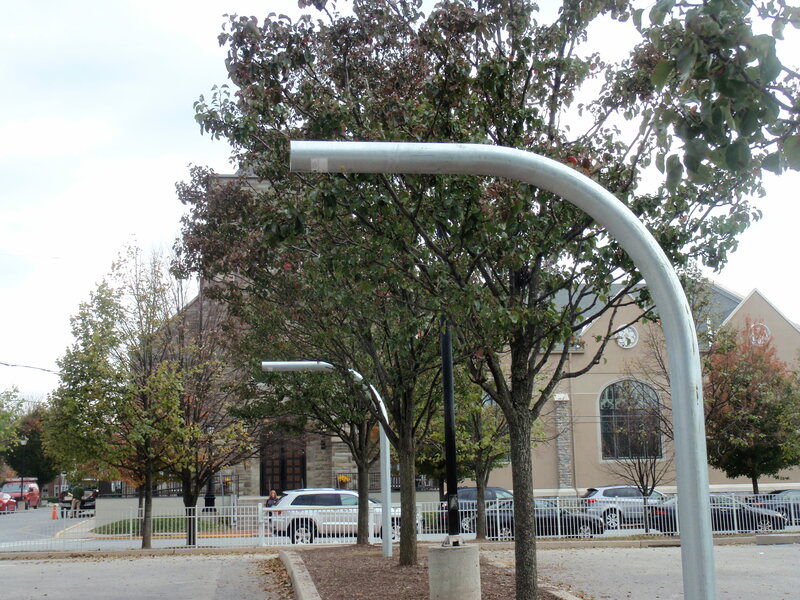 Basketball poles - nets and backboards to come soon! St. Pat’s Goes to the Movies! What a great day yesterday was! Grades 2-8 attended a special showing of the movie, The Mighty Macs. We had such an awesome time – the whole theater was ours, we ate popcorn, candy and soda and enjoyed a movie about perseverance and tenacity. We cheered and clapped and even shed a few tears. Teachers discussed the movie in the afternoon and kids were talking about it all day long. Sharing this experience with our 2nd – 8th graders was one of the highlights of my principal career – the feeling of fun and community was so powerful and so great. It was a wonderful day to be a St. Pat Warrior!